President Abdel Fattah al-Sisi opened on Monday Egypt’s Petroleum Show ‘EGYPS 2018’, which is taking place from February 12-14 and seeks to demonstrates Egypt’s self-sufficient strategy and vision in oil, in maximizing the added value of petroleum products, and in turning Egypt into a regional energy hub. 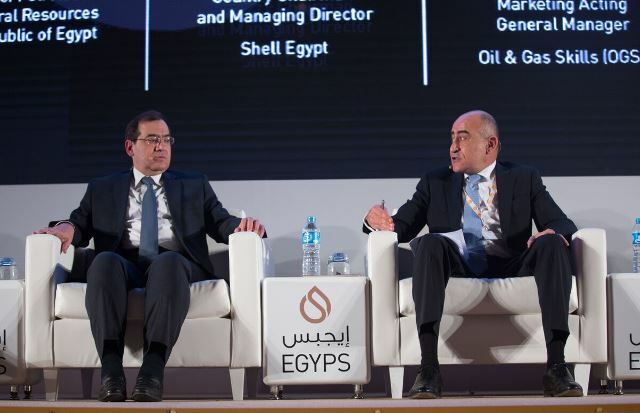 Secretary-General of Organization of Petroleum Exporting Countries (OPEC) Mohammed Barkindo said that recent oil and gas explorations have set up Egypt to be a major source of energy in the region. Minister of Oil Tarek al-Mula said that the government had launched five new initiatives, including cooperation with global companies to improve the quality of fuel. The second initiative includes signing agreement between the oil sector and unnamed major global company, to conduct a regional seismic shift in the gulf of the Suez area to increase crude oil reserves. The third initiative involves signing a memorandum of understanding between the oil sector and an alliance of major specialized companies to establish the ‘Egypt Gateway Project for Exploration and Production’. The project will include a geological and exploratory information centre to contribute to the global promotion of research and exploration of areas in Egypt. Meanwhile, The fourth initiative seeks to establish a cooperation program with global companies to develop companies operating in the field of research and production. In addition to this it aims to improve their governance system and offer an electronic gate to enhance communication between the employees in the oil sector, and to provide reliable information.